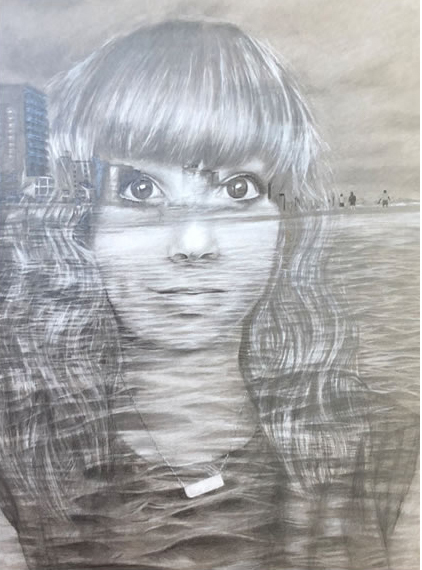 Congratulations to talented Cedar Ridge High School senior visual arts student Nicole Petrik who the top award in the annual Congressional Art Competition which she entered through U.S. Rep John Carter’s office. Nicole’s toned paper portrait, titled Innocence, will be representing District 31 in the nation’s capital alongside work from all over the country and Nicole will be taking a trip to Washington D.C. to see her work hung. Nicole will be attending the Savannah College of Art and Design in the fall. Cedar Ridge High School faculty and staff alongside the Round Rock ISD Fine Arts department faculty and staff are very proud of Nicole’s achievement in the visual arts. Check out the recent Austin American Statesman article!